La Godille, Brasserie true Savoyard style is located in the center of Belle Plagne. It's a bit the soul of the village. Your day can start with a breakfast, you will meet the regulars who will guide you. She has the distinction of having several levels and two entrances: La Brasserie on the ground floor, the terrace -Solarium the next level. The main room is elegantly decorated remind the colors of the Savoie. Near the fire, warm you will not resist to taste the many local specialties. La Godille also offer you a traditional menu of good taste in which meat, fish, house specialties and desserts will not be outdone. 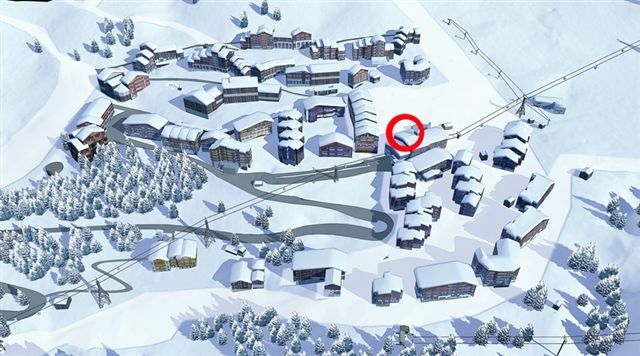 Enjoy the terrace - solarium south to the next level and is accessed on foot or on skis. Calm and relaxation for some, for others speed, and service for everyone.